You are at:Home»Letters»Do I need a coach? Last night in Vancouver, a sparkly-eyed woman in a wide-brimmed hat introduced herself to me as an artist’s coach. “What kinds of problems do artists bring to you?” I asked. Define career goals — Where are you and where do you want to go? What is your idea of a happy life in art? Why not break this into actionable steps? Find your uniqueness and promote it. Work your strengths. Get the basics right — Your bio, CV, website and social media, like a garden, need steady love and pruning. Explore a variety of options for showing — Try not to get stuck on one route. Foster professional relationships — Aim to the highest standard possible. It takes practice. Demystify commercial gallery procedures like contracts, payments, shipping and framing. Ask for help and information from others who may know. Pinpoint your personal practice and get clear on things like your signature, pricing, whether you’re doing editions, prints, commissions and how to document and archive your work. Understand your core values and set boundaries you can live by. Communicate clearly, deliver quality, be respectful and fair and expect the same in return. Pour love into all the corners of your art life. Be yourself. Cultivating these essentials is a lifelong practice in a calling we all gladly do for love. Esoterica: Jennifer Johnson coaches artists of all stripes — in person, on the phone and over Skype. When asked if she vets her clients by looking at their work, she replied that even more important than this is whether she feels an artist is willing to participate and be accountable in the pursuit of her own success. “Sometimes the most exceptionally talented won’t do anything by themselves, for themselves, while others are incredibly tenacious and persevering.” You can reach Jennifer here. Re. The question of coaches vetting clients: it works the other way, too. For example, it would be good for artists to know if a coach is willing to put as much work into ‘the little guy’ as into the higher-profile client. For me, “the little guy” is just as important as the higher-profile client. The only thing that sets my clients apart is themselves – how accountable they are, how willing they are to do the work and believe in their value as an artist. We all have something to contribute and I enjoy helping artists discover what that is. Thank you for your generosity in continuing to do these. I would so miss them. What a great and timely discussion, very compact and full of great steps to take. This follows right on the heels of 2 very recent conversations I’ve had with artists who are interested, encouraging and supportive of my path. Getting out into the flow is wonderful to experience all of the elements that come out of the woodwork to help feed the spark into a flame. 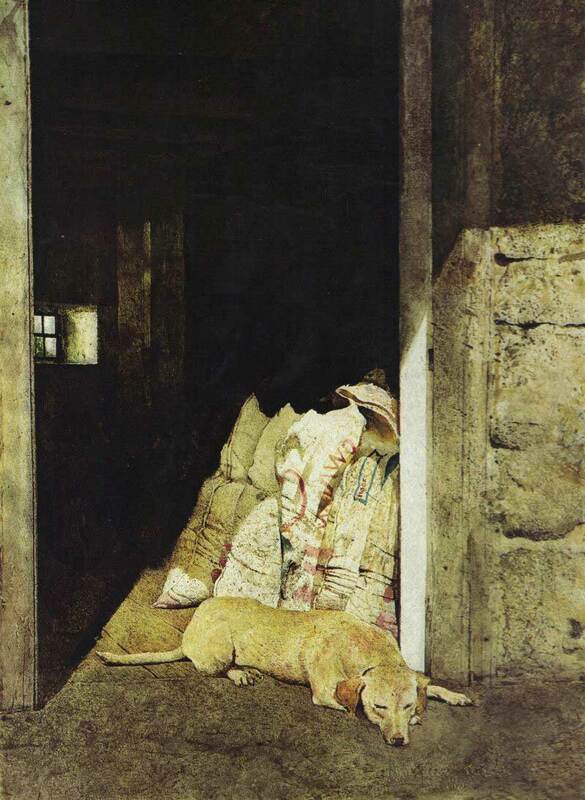 Great letter, Sara, and thank you for sharing those terrific paintings by Andrew Wyeth! Yes, thank you, Sara, for these wonderful letters! 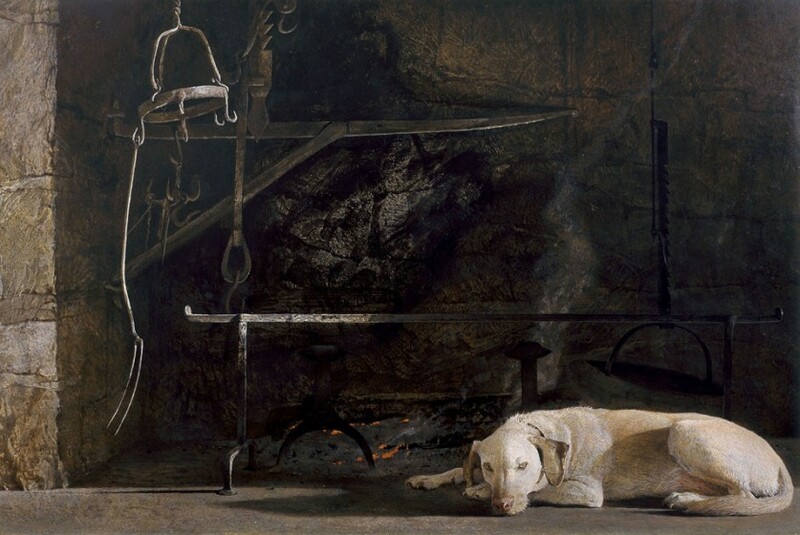 Since you illustrated this one with Andrew Wyeth’s work you and our Canadian neighbors might like to know about the current exhibition “Andrew Wyeth in Retrospect” at Seattle Art museum. It’s worth a trip over the border! 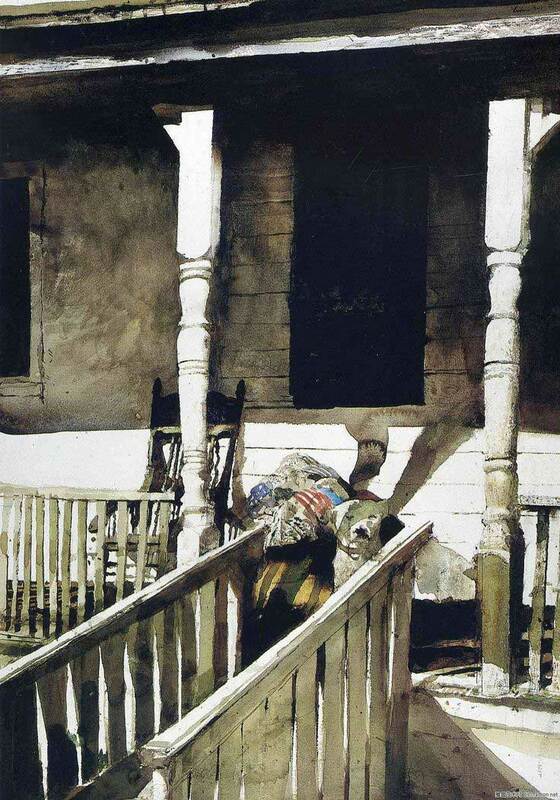 Oh my, I just visited the Farnsworth Museum in Maine and was absolutely in awe of all Andrew Wyeth’s works. 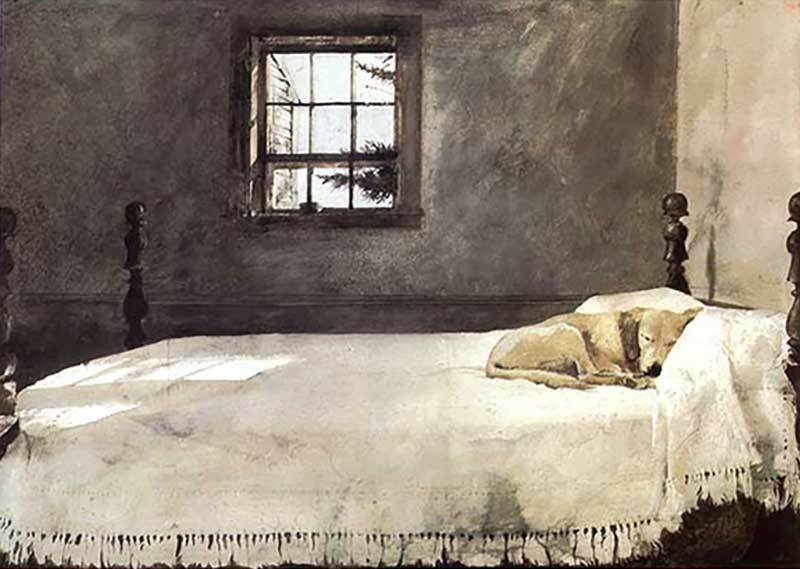 I also have a print of the dog on the bed. What timing. Thank you Sara. I have a personal cause in promoting the issue of Endangered Wildlife, particularly at the moment, elephants, giraffes, lions, rhinos, and Orangutans, but the list could be longer. I will give, give and give more because I want to spread the word, educate kids and get the conversation going about this crisis. On that my purpose is clear, my passion bubbling! Just need a good marketing plan. Thank you for caring about the Endangered Wildlife and for doing something about it. Making art and selling art are two separate things. The true value of an artist is not measured by sales nor is the importance of their work. (Van Gogh never sold anything.) Galleries are full of poor and inferior art done by overly healthy egos to appeal to the taste of non-artist buyers. On the other hand, many excellent artist choose not to get involved in self promotion or marketing and rarely show or sell their work. Let your passion for the animals fuel your quest to be a stronger more creative artist. Let your heart lead the way. Learn about marketing and the game but don’t be ruled by it or let it discourage you. May good luck come your way. 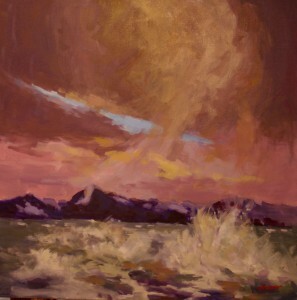 I also am an Artist’s Coach in Prince George, Bc. That coach stated exactly my opinion! Thank you for these posts! 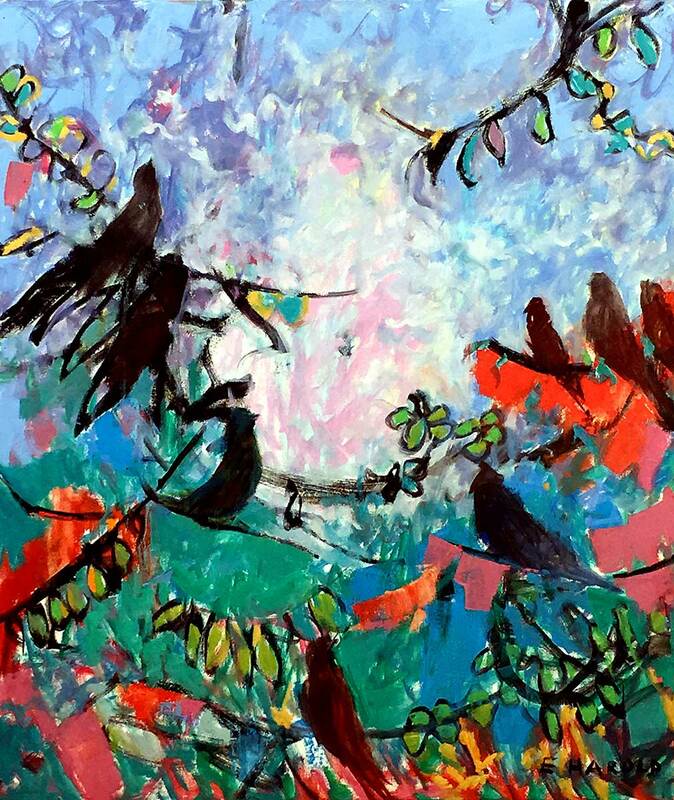 My art represents an artistic journey that has been on-going for more than thirty-five years with help and guidance from many wonderful artists. 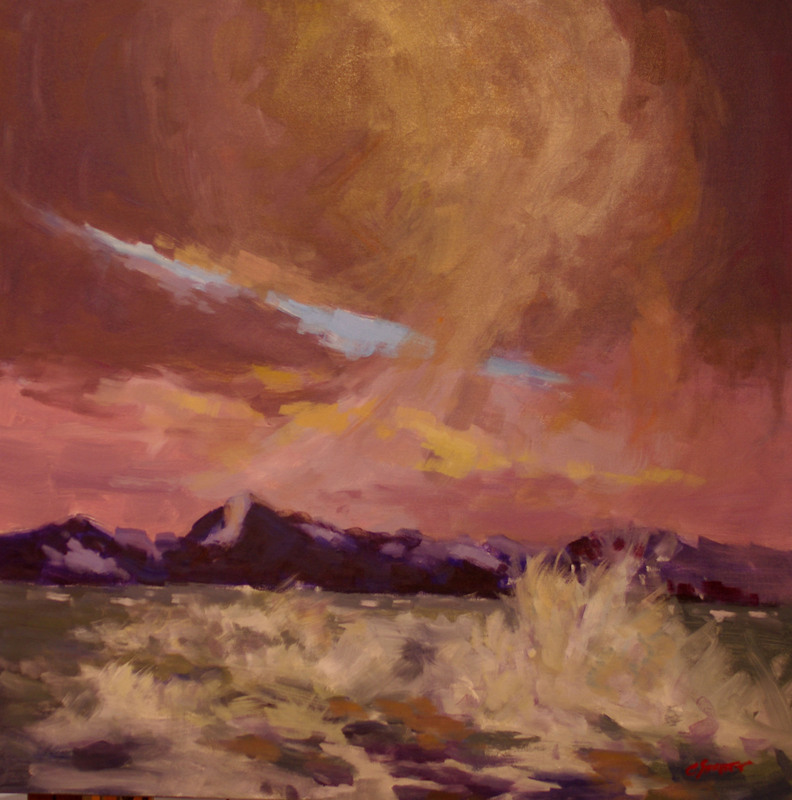 Now, with years of plein-air painting experience, study and solo exhibitions, I believe that my current work has reached its highest level, reflecting the depth of my absorption in the wonder and beauty of the world around me. I have learned that, as an artist, I will never stop looking for better ways to express my feelings in art and that struggling to more fully understand myself is integral to my painting; a philosophy that was part of every workshop I taught. Still is.